No matter the weather, tents can be useful for when throwing a party. Our tents are waterproof and certified fire retardant. 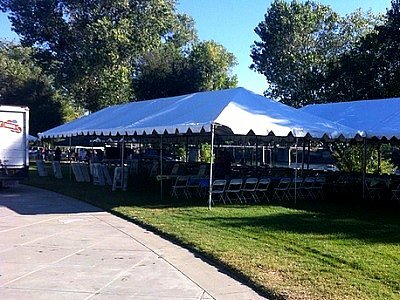 We have tents that can hold anywhere from 10 to 200 people. We also can set up multiple tents to accommodate more people as supplement if the party calls for additional covered space.